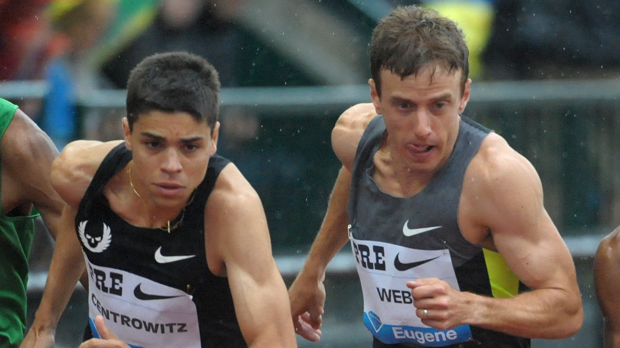 Steve and I recently interviewed 1 Mile American great Alan Webb on the On Coaching Podcast. Alan offers amazing insight in this 90-minute tour de force about his training leading into his historic 2007 year. Alan said something which changed my perspective, "I viewed the finish line as a magnet." I had never thought of it like that before he said it. I always conceptualized the finish line as a destination which required all my force of will and effort to get to. The finish line was a place I wanted to arrive at quickly, but I had to make it happen on my own volition, hard-earned step by hard-earned step, employing all my energies to make it happen. However, if the finish line is a magnet, then there is an outside force attracting and pulling, helping me get there. Instead of uncertainty about when I'd arrive, the magnet force creates an invariability of arrival. It will happen for sure, just a matter of when. It is a subtle, but profound shift. And is one of the many reasons Alan is one of the all-time best at a difficult craft. The attraction of the finish line gave him a boost. In his mind, the burden didn't lay entirely upon his shoulders to make performances happen from thin air. No, Alan had help. He, unlike me, had the magnetism of finish line in his favor. It had been a friend for many years. Aided by that ally, he was spurred to achieve the remarkable feats on the track that he did.